Delivery to the UK and Ireland in One working day. Orders may take 2 to 4+ days to all other countries. All orders are only fulfilled once a valid UK prescription has been issued. We would like to advise all patients to consult with their physician prior to taking any new course of medication. Should there be any concerns it is in your best interests to seek professional medical advice. As part of the ordering process you will be asked to complete a questionnaire specific to each drug. It is vital that this is completed correctly and in full detail. We recommend that every patient reviews all information concerning relevant medication before submitting a consultation form. What prescription medicines do you dispense? 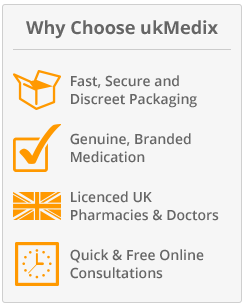 How do you guarantee that your medicines are genuine? How does an online medical consultation work exactly? Is shipping included in the price shown? Do I need to be at home in order to sign for it? I placed my order a few days ago and it has still not arrived. What should I do? Can I return my medicine for a refund? What are your policies on privacy and security? Will I receive unsolicited emails or post? The licensed pharmacy dispenses Viagra, Xenical and Propecia. These are medicines that can be prescribed via an online consultation. These medicines do not require a physical examination. We do strongly recommend that you consult with your physician if you have any concerns about either your health, or about using any of these products. All items dispensed are medicines carrying the manufacturers stickers and hallmarks. They are dispensed from UK pharmacies. Once we receive your order, it is securely forwarded to a doctor. He will review the information that you have submitted and will either approve or decline your request. Should your order be approved the doctor will write your prescription and send it in confidence to a pharmacy. The pharmacy then completes and delivers the package to you. Your prescription will include information detailing the dosage and cautionary information. Yes shipping is included in the price shown and is carried out by the Royal Mail trackable service. Payment is taken once the prescription has been issued and the goods dispatched. We only transact in GBP sterling - no other currencies are accepted. UK Medix will appear on your credit card statement. Within the UK we send all orders by Royal Mail Special Delivery which guarantees next day delivery by 1pm. * All other countries pls allow 2 to 4 days for delivery. Yes. All packages will be discreetly wrapped and dispatched to ensure safe arrival. Yes. You need to be available to sign for delivery at the address which you give on your order form, however, you may give your work address if you wish. I placed my order more than 2 days ago and it has still not arrived. What should I do? Kindly contact us immediately with your order number. 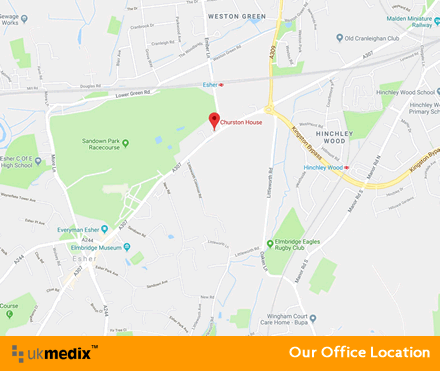 Although this has never happened with a ukmedix delivery, in the unlikely event, all our orders are easily traced and we will organise a new shipment for immediate dispatch incurring any costs ourselves. Returned medicines cannot be re-used. Therefore, we are not able to offer refunds if you change your mind medicines are sent to you. No. At this time ukmedix only accepts major credit cards. We accept all major credit cards (Visa and Mastercard) through our secure payment station, and are happy to announce we now accept Visa electron (debit card) now. Our online ordering system uses secure servers. A system used by many companies around the world. It is recommended by the majority of UK high street banks and has an excellent track record in secure and private transactions. No. Your details will not be passed on to anyone else by us. We need your phone number should we need to contact you regarding your order, payment or security issues.